One of Britain’s greatest Paralympic athletes, Baroness Tanni Grey-Thompson DBE amassed a remarkable medal haul over 16 years and five Paralympic Games of 11 gold, 4 silver and a bronze. In 2005, she became Dame Tanni Grey-Thompson for her services to sport. Tanni has continued to be involved in sport and physical activity. She is a Board Member of the London Marathon, the SportsAid Foundation, the Duke of Edinburgh Awards and Join In. In addition to this, she is also a Board Member of several organisations including Transport for London, the London Legacy Development Corporation and a Non-Executive Director of the BBC. 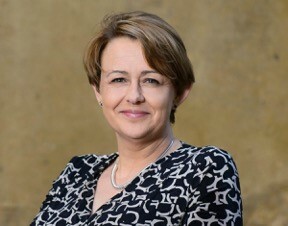 In 2010, Tanni became an independent Crossbench Peer in the House of Lords, taking the title Baroness Grey-Thompson of Eaglescliffe in the County of Durham. As a working peer Tanni uses her experience and knowledge during debates in the House and she has spoken on a range of issues including Disability Rights, Welfare Reform, and of course, Sport.